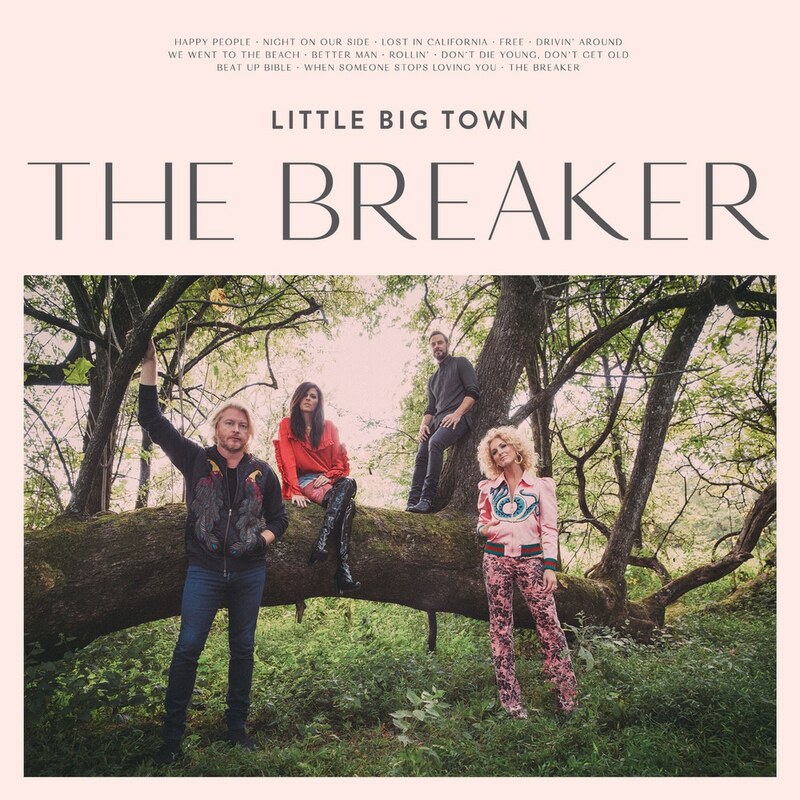 "... (first single Better Man is) a regret-filled breakup ballad that contains a Ginsu-sharp takedown of the lover in question ..."
Little Big Town follows 2016's experimental Wanderlust with a return to country roots on The Breaker, recorded with LBT's live band and produced once again by Jay Joyce (Keith Urban, Eric Church). The comeback single Better Man was written by Taylor Swift and hit number one on Billboard's Hot Country chart, even breaking into the mainstream top 40. Other songwriters of note include T.J. Osborne and Connie Harrington, who teamed up on the title track. "We're always pushing to be progressive, so there's some cool sounds on there. It has that soul and spirit that we always try to find with Jay. Technical performances aren't what he's looking for, he's looking to capture a feeling. We may spend a whole day or more on one song. Playing it not from your head, but from your heart. That's what Jay is so great at. He's a rare breed."